What could have been an impressive addition to Dan Auerbach’s Wikipedia page is probably going to wind up being a mildly depressing addition to his Wikipedia page. 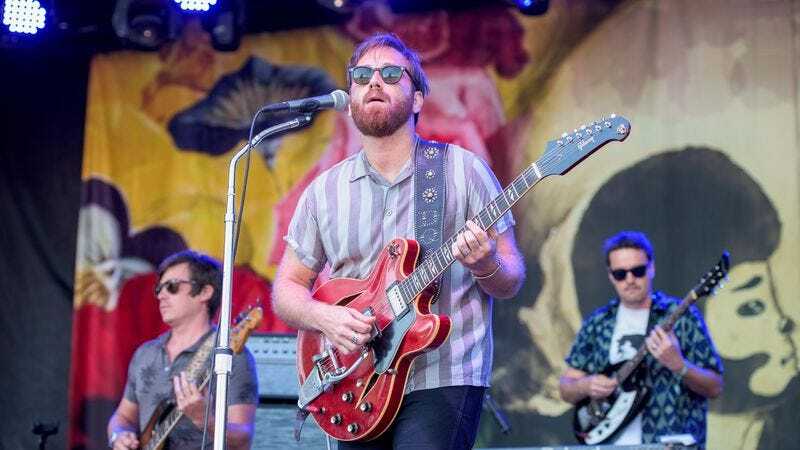 The Black Keys vocalist is currently being sued by the producers of a documentary about legendary blues musician Howlin’ Wolf, for which Auerbach was hired to direct and executive produce, according to The Hollywood Reporter. In a complaint filed in Los Angeles County Superior Court last week, Smokestack Lightning Inc. contends that Auerbach drove up the costs of their film and subsequently dropped out prior to its completion, refusing to pay for the additional expenses he incurred. Smokestack Lightning Inc. is seeking $100,000 in damages and restitution, which is bad news for Auerbach, who has yet to comment. The good news for us is that we’re probably getting a halfway decent documentary about Howlin’ Wolf sometime soon. Silver lining, you know?